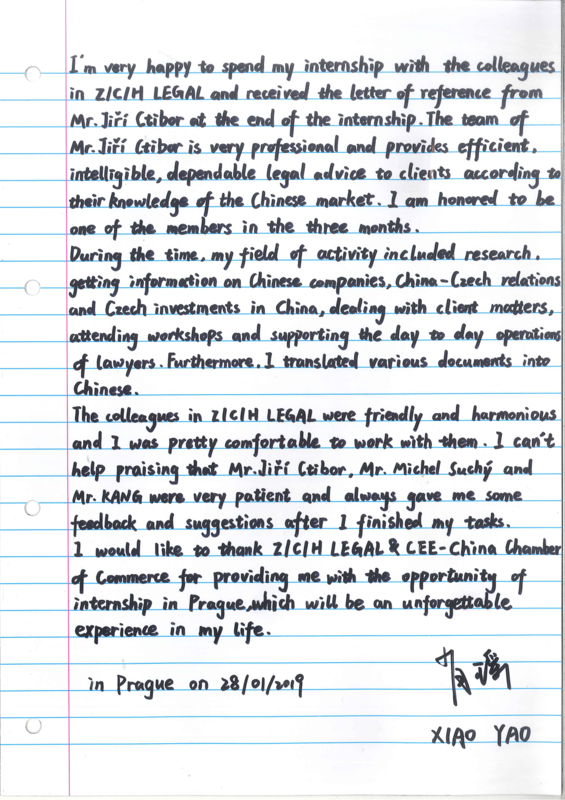 In November 2018, a Chinese student Xiao Yao started her 3-month internship at Z/C/H Legal. As part of her internship, she took part in the EFFICIENT TRADE WITH HONGKONG AND CHINA workshop, assisted in dealing with Chinese clients, prepared researches and helped all colleagues from the law firm with the preparation of documents. Time passed by quickly and, after successful completion of her internship, Xiao Yao is now set to return back home to her alma mater, bringing back new experiences and lifetime memories. At the end of her internship, Xaio Yao wrote us a letter which pleased us very much for it is a proof that our internships have great added value for interns and will be remembered for life. On behalf of our Z/C/H/ Legal team, we would like to wish Xiao Yao all the best in the future, both in her studies and personal life!